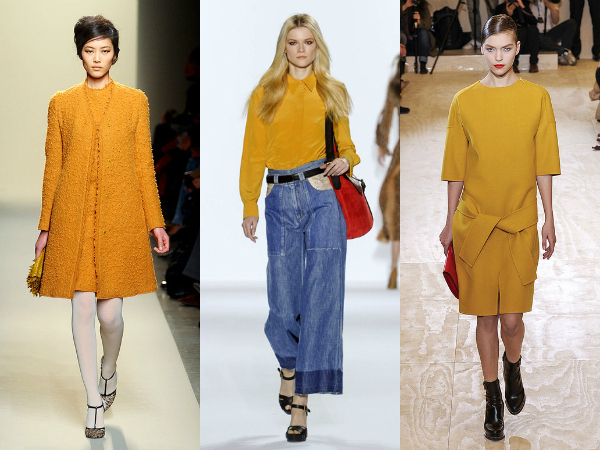 I am loving the mustard and jewel tones for fall. I can't wait to try out the plaid trend! 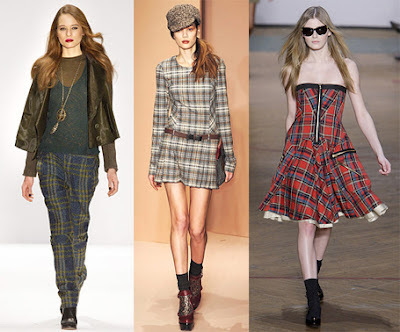 I'm not sure if I'll try a dress or pants but I MUST try the plaid trend. I've had a mustard blouse for years and everytime I wear it, J is like, what's up with that color? Now I will tell him that mustard is so in! I LOVE the mustard color trend because it's a great color for my skin tone. I'm not sure how mustard will look with my skin tone, but I do like jewel tones trend!